Intuitive software that's powerful enough to solve the most difficult resource management challenges. 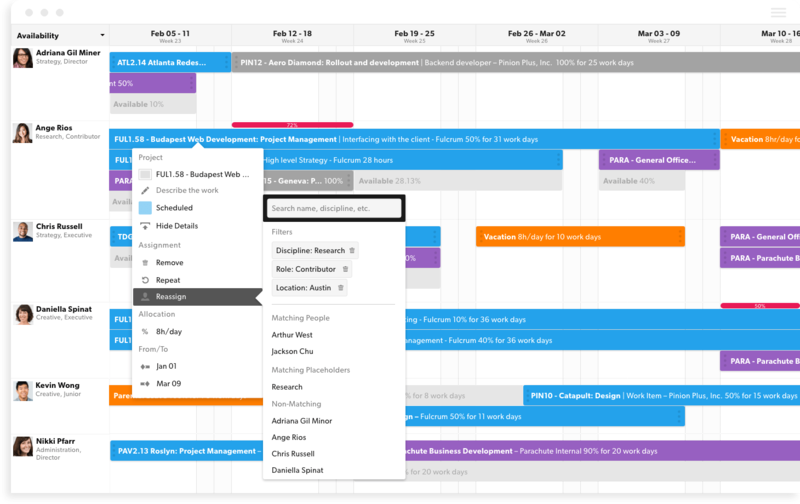 Our resource planning tool gives you visibility to schedule and manage your team effectively, update on the fly, and immediately see the impact on the project’s budget. Plan ahead and spot potential issues before they become a problem. And when things change, make confident staffing decisions based on custom criteria that matters most, like skill set, office location, bill rate, or availability. 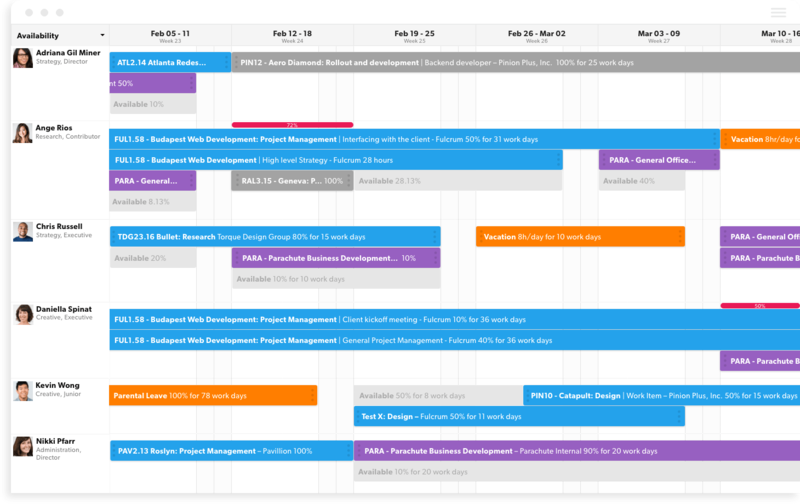 Get a complete picture of all the moving parts with flexible team scheduling tools. Use availability sorting and custom filters to quickly see who’s available and who’s overbooked, and make quick adjustments to balance the workload. Team member dashboards keep your team informed, engaged, and focused on the work at hand. 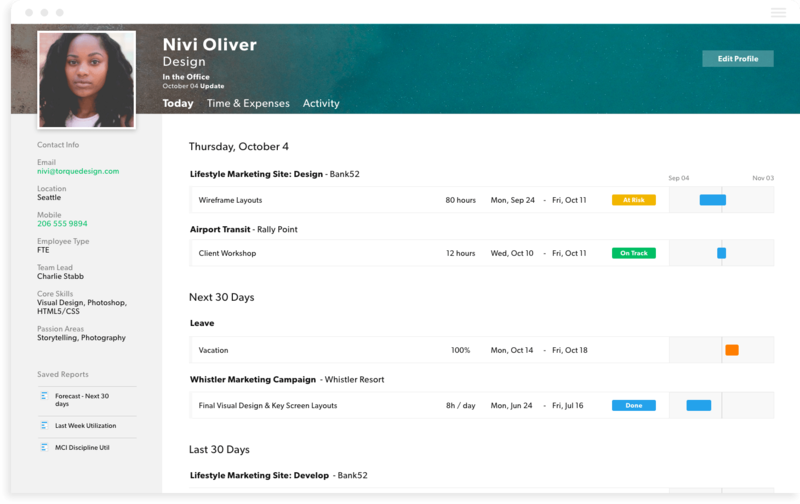 Your team can sync assignments to their calendar, and email notifications keep everyone in the loop as staffing plans change. Create placeholders based on role or discipline to pencil in project assignments and make accurate budget estimates. 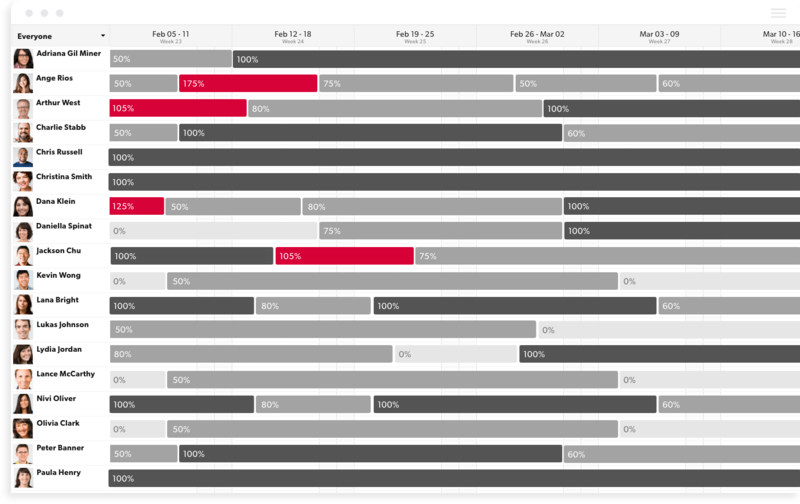 Forecast upcoming hiring needs with a utilization heat map across people and teams. Today's most innovative companies use 10,000ft to make faster, better decisions. Try it for yourself with a free trial - no credit card required.